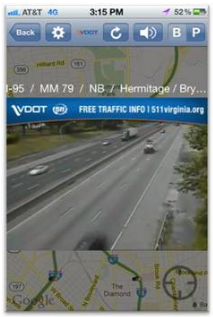 The Virginia Department of Transportation has launched the next generation of 511 traffic information. Motorists can download a free mobile app that will give them real-time traffic information, visit the new 511 website with live streaming video of traffic conditions or call the improved 511 phone system. According to VDOT, since its inception in 2002, 511 Virginia has received more than 11 million calls and 8 million website visits. The 511 Virginia service typically receives 200,000 calls each month. The system can be accessed by calling 511 from any land line or cell phone in Virginia or visiting www.511Virginia.org.